He has deep knowledge of yarn property and greige fabric manufacture, over 20 years engaged in procurement he always focus on the research and development of international high-end labor safety products . He has solved a lot of problems which could not be solved in after treatment, using the method of strengthen in the manufacture process. He made a contribution to improving the disadvantage of fire retardant fabric. She has been engaged in textile dyeing research for 31 years, Ma Shuxin has rich theoretical basis and practical experience. 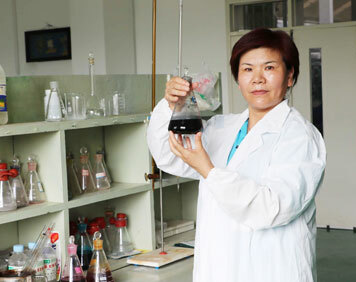 She has strong professional knowledge for the fabric dyeing, what is more, she is one of the first Chinese expert who developed the cation stain and fluorescent dye. She always help clients solve some difficult problems about color fastness, light fastness, etc. She has been engaged in textile finishing research for 27 years, Cuilan Zhang is one of the first teams of experts in 70s who graduated from textile major. She has 18 years rich theoretical basis and practical experience after transferred from research institution to factory. Mr. Zhang’ main research direction is flame retardant and arc proof products. Under her leadership, these two kinds of products has passed various Europe and America test standards. At the same time, she continuous developing and researching different material and preferable protective products, which can extend industry chain of flame retardant. She makes a contribution to the flame retardant protective career of China. She has work on quality inspection for 30 years ,she know deeply the quality requires of each fabric ,she is very proficiency and skillful about each kind of fabric QC standard ,she is a strict rigorous director .She has worked in a big weaving factory as a QC group leader and QC director ,with 35 years experience ,she can propose good and practical measure according to the unique requires of clients about quality . 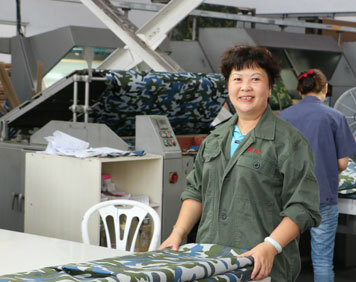 she plays an important rule in checking the quality and service the clients ,protect our god , she have protect our fabric quality to the utmost extent. Ms. Zhang has the strong will for normative and preciseness of product test. During the 15 years in factory, she devotes to research protective standards and test methods of various counties. At the same time, she attends the domestic and international study group to improve and make herself stronger. 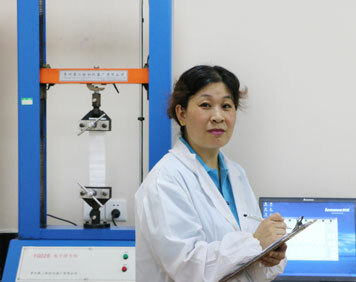 Ms. Zhang herself held the task of building a international test center in our factory. She has played an important firewall role in sending the safety standard products to clients. 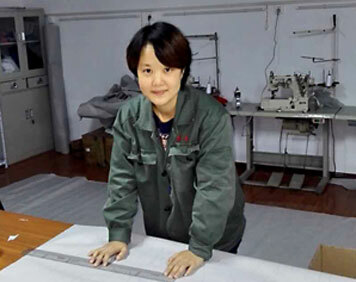 Engaged in the industry of workwear for 15 years,she has a rich experience and creativity about garment production to American and European customers.Because she has original sense about every detail of every garment with advanced management consciousness,she plays an important role in innovation of our workwear. 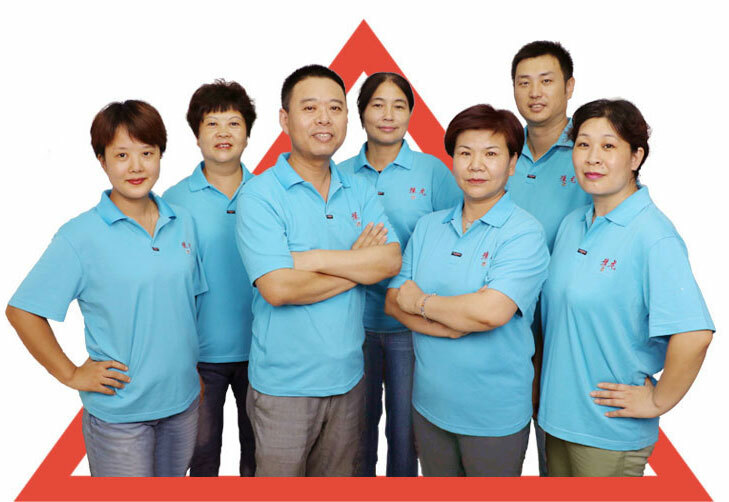 Work with one large foreign trade garment enterprise for more than ten years, have more experience for pattern making/ order supervising/ clothing detail adjustment, study garment’s practicability and aesthetics, have the spirit of seeking perfection to garment whole design. To different customer’s requirement, he can think what customer thought, and put forward his unique opinion. He got customer’s agreement and affirmation, can put forward unreasonable part of size chart which customer provided, and provide one more suitable and practical size. 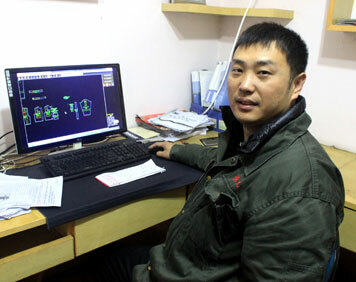 He is rare genius in clothing processing field, and play great role on this field.